Waluigifan ! wtf, last night I dreamt that Tiger Woods 07 worked perfectly on RPCS3. And I also almost made a hole in one on a PAR4 hole. And I was playing as a woman for some reason. Husky Wing I dreamed that comic books were interactive like video games. And The Force Unleashed was a comic book (but you know, interactive). Husky Wing I also dreamed about Prey 2, but I can't remember the full scenario. I dunno if I ever saw the game itself. 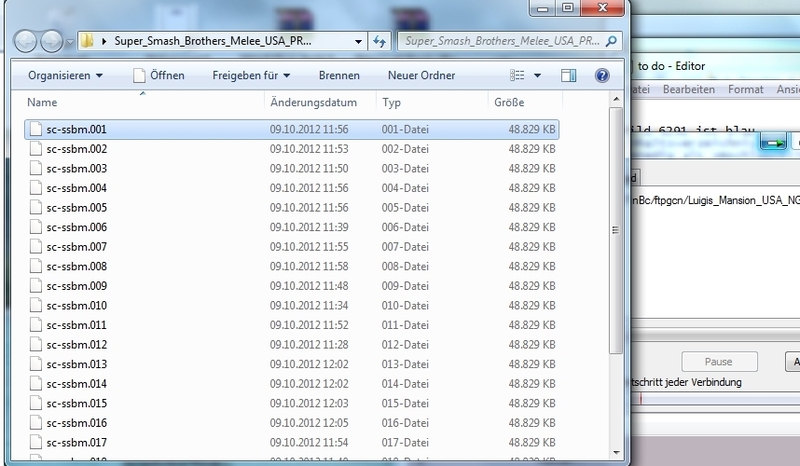 Alright, I think I downloaded all the ROMs that were on my 3DS. So now they're on a permanent system. Except for the special 3DS editions of DS games. Sigh...3D mirrors are so over-rated. rockshard PhD this site is deceptive, posting games without having any downloads on it. https://retrogames.goodolddownloads.com/playstation-portable/pirates-of-the-caribbean-dead-mans-chest-usa-v1-01 the site is probably flooded with these. meh. EDIT: just found 18 more, including Burnout Legends. Soon there won't be any ROMs on the Internet thanks to Nintendo. This actually makes me want to pirate their games simply because I despise their antics. From now on I won't give them any of my money. If I want a game, I'm gonna get it used. I don't play emulators that often, but man, freakin' Nintendo and their lawsuits. Other websites are already popping up...hmm. nodley Green I have most of those rom sets and I have them backed up on disc too. I'll keep old games alive by myself if I have to. Aramonde Hasashi They can't take off the net completely. You'll just have to work harder to find them. Riley Ivy Have you tried putting it on an SD card and putting that in your phone/whateverthehell? now what? How do I turn these files into an .iso?! Gries He I already extracted the .rar and this was the result. Waluigifan ! Strange... maybe you should try to open one of these files with WinRar, even though the program might not be associated with .001-files. I've ripped all my Wii discs to my hard drive via the homebrew channel and cleanrip. Now I have over 80 GB of files, 4 iso parts for each game. My problem is that I have absolutely no idea how to combine them into one large iso file that works with Dolphin. Can somebody please help me out here? Mayar Karkout Mayar for Mayor B| Gries did it work in the end? Gries He Mayar Karkout, downloading a file from wiiisos.com right now. If it doesn't work I'll probably kill somebody. edit: it worked!